It was during a drive in the country, to visit his daughter in Armidale that Ray Lawrence thought it would be nice to somehow support one of the local towns he passed through on the way. “What about doing some paintings? Have a show?” was his daughter’s suggestion. Ray studied painting at Adelaide Art School and began to make a name for himself in the world of commercial art, before moving into film and establishing one of Australia’s most successful film production companies. In the mid 1980s he made Bliss, from the breakthrough novel by Booker prize winning author Peter Carey. The film was critically acclaimed and nominated for the prestigious Cannes Palme d’or. In the following years, Lawrence forged a reputation as one of Australia’s most important Australian directors with his films Lantana and Jindabyne. Throughout his commercial and feature film work, he continued to paint portraits and has been a finalist in the Archibald and semi finalist in the Moran art prize. 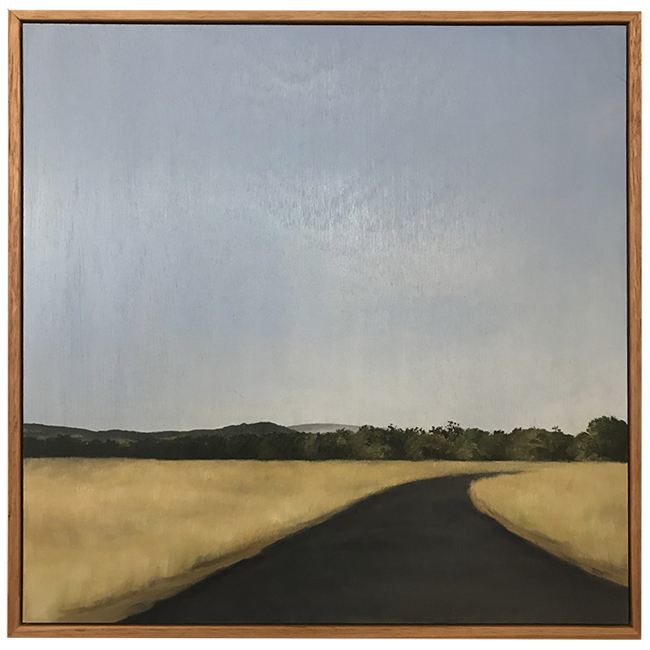 Lawrence’s love of landscape is a recurring theme of his films and it seems only natural that his keen eye and passion for this country has translated into this series of oil paintings. Ray is joined in this exhibition by Lismore based landscape painter, artist Emily Imeson, in what promises to be the latest in a run of successful showings by Dungog Contemporary. Curators Stephen Hobbs and Sarah Crawford opened their gallery and cultural exchange in 2017 and have established a reputation for their support of emerging and established Australian artists.